Now that the holidays are finally here, decorations are going up, gifts are being wrapped and seasonal celebrations are in full swing. But while visions of eggnog and apple cider dance in your head, your inner Scrooge may be dreading the cost of all this ho-ho-holiday cheer. That’s why this year, we’re helping you eliminate some of that seasonal stress and #GoghCelebrate more for less with a little gift of our own. 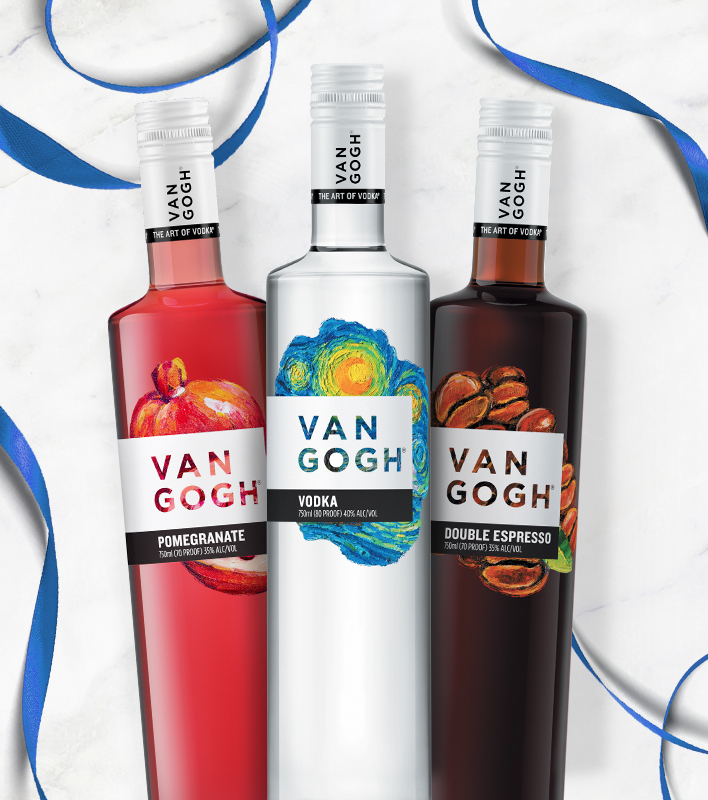 Between November 1, 2016, and January 31, 2017, save up to $25 when you purchase multiple bottles of Van Gogh Vodka. Just print off our mail-in-rebate, send it in and look for your check in the mail. And hey, while you wait, put all that Van Gogh to good use with some of our favorite holiday punches – guaranteed to please even the grumpiest Grinch at the party. Add vodka and cranberry juice to punch bowl with a block of ice. Stir well, then add ginger ale and club soda. Serves 20. Add all ingredients to a punch bowl with ice and stir well to chill and dilute. Garnish with cloven orange wheels. Serves 25. *Cranberry-honey mix: Add 2 cups fresh cranberries to a container and muddle with 1 cup honey and ½ cup warm water. Combine vodka, apple cider and cinnamon in a punch bowl. Let sit for 30 minutes. Add an ice block and apple slices. Pour into glasses and top with chilled Champagne. Serves 20-25.